As shown in the recent excitement about the “ontological turn,” the nature/culture theme has been a perennial concern in anthropology. Using some images of the monkey and the monkey performance in Japan, this talk introduces the historical changes in the meanings assigned to the monkey which occupies the pivotal space between nature (deities, animals) and culture (humans), with a special emphasis on their uses in socio-political spaces. 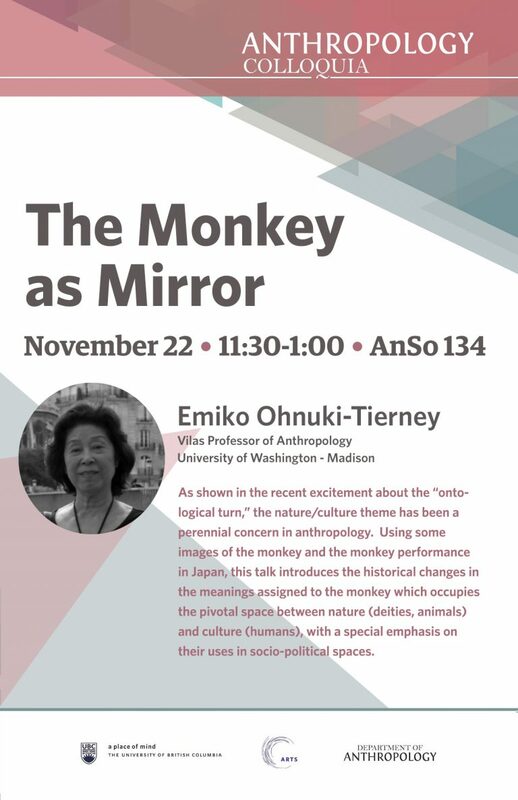 Emiko Ohnuki-Tierney is a Vilas Professor of Anthropology at the University of Wisconsin, Madison.